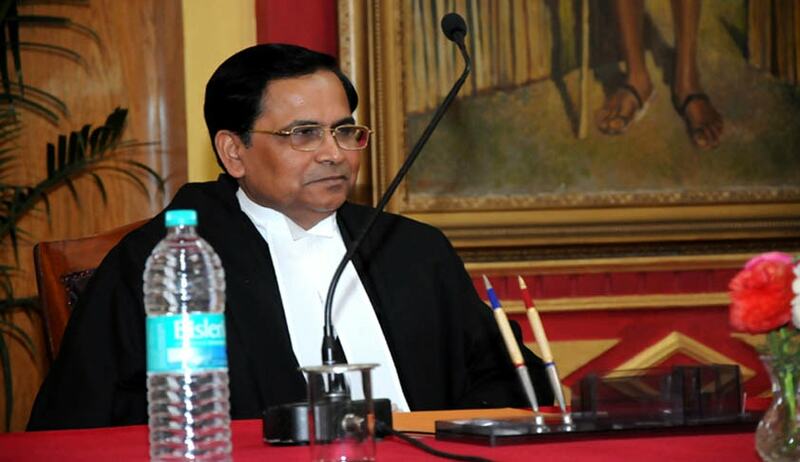 Former Meghalaya High Court Chief Justice Umanath Singh, whose suo motu order providing security cover for himself and other Judges for post-retirement period came under the scanner of the Supreme Court, justified saying that an incorrect picture was being portrayed about his security status and at the same time his threat perception was also very grave. Justice Singh sought to clarify that after his retirement, he never had the Z-security nor have he ever demanded that kind of security from any government as was being made out before the apex court. “I have learnt from media reports that SLP has been filed by a private person relating to issues of providing security and guest house facilities to serving and retired chief justices and judges of the Meghalaya High Court pass in 2015 by the Division Bench headed by me . It seems that an incorrect picture is being portrayed about my security status after retirement and need thereof”, Singh wrote a 9 page letter to the SC’s Secretary General Ravindra Maithani. The letter was dispatched on 28th September 2016 three weeks after the Supreme Court had raised some pointed questions on Singh’s measure after a “common man” questioned had Singh’s order. On September 6, the order passed by Megalalya High Court bench headed by Justice Singh issuing the security orders was challenged by one public spirited person Sajay Laloo in the Supreme Court,which has openly expressed dislike towards common citizens questioning security for retired judges. SC bench headed by then Chief Justice T S Thakur had virtually stopped Laloo's counsel, senior advocate Vijay Hansaria, from arguing the matter but significantly had asked central agencies to evaluate the threat perception of the retired CJ and send the inputs to the Meghalaya government. Justice Singh is presently residing at his residence in national capital region (NCR) NOIDA, Uttar Pradesh. “at the very outset, I may inform the court that soon after my retirement on January 14, 2016, the assessment of my threat perception was conducted by the IB and thereafter I have been provided only two PSOs and three armed police personnel. One armed police man remains on duty at my residence throughout and one PSO with me during day time on daily basis. During my travel outside Noida and Delhi, I am only accompanied by my PSO. I may say that while working on a sensitive position as Chief Justice of Meghalaya, an insurgency infested state , the full bench and division bench headed by me have passed orders only in the interest of national security and to safeguard the interests of the country. I may also clarify that after my retirement, I have never had the Z-security nor have I ever demanded that kind of security from any government”. The letter details the kind of threats to his life Justice Singh apprehends. Interestingly, Justice Singh says as a judge of the Lucknow bench of Allahabad High Court he had dealt with cases of several anti-social elements involved in land grabbing and had also passed several orders including in the case Muzzafarnagar riots. He had banned caste rallies causing lots of resentment and aggression. Defending his orders granting some sort of security to himself and other judges of the state HC, Justice Singh said: “the issue of security of judges in view of the facts mentioned however being a serious one and Meghalaya being a small High Court of only four judges out of which one post has been created only last year and is still vacant , so only judges available in High Court were to hear and decide the issue that came before them as Chief Justice , it was my foremost duty to protect the institution and judges and secure them against any fear of threat to their lives”. The letter assumes significance in the wake of Central agencies apparently telling the state that incidents cited by the former CJ as cause for apprehension to his security were not serious, indicating that there was no need for 'Z' category security cover. Besides this, Justice Singh's administrative order designating Delhi-based lawyers as senior advocates has also come under criticism. Another petition filed by Shillong Bar Association questioning the rationale behind a decision by the Meghalaya HC headed by Justice Singh to designate Delhi-based lawyers as senior advocates. The SC entertained this petition in January and issued a notice to the Meghalaya HC registrar general. In the meantime, after his retirement, he was designated as senior advocate by the Supreme Court in September 2016.